Chebeague Island has long been a destination for vacationers. Prior to air conditioning, people came in search of relief from the heat of hot summer days. 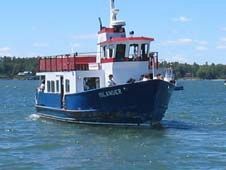 Currently, Chebeague has 2 ferries to choose from, distinguishing it from other Casco Bay islands, which are serviced by the Casco Bay Lines, only.